One of the principles of behavioral ecology is that resources are limited, and thus, allocation decisions have to be made to make ends meet. For instance, if animals (or plants) use many resources in producing offspring, they cannot use the same resources to grow or to repair their cells. Therefore, costs might arise. If an animal (or a plant) that lives several years invests a lot in one reproductive event, it might not have the resources to invest a lot in the following reproductive events. In a more dramatic scenario, if it uses too many resources to produce offspring, it might not have enough resources to survive the winter. In general, whether we might expect to find a cost in future reproduction or survival depends on the availability of resources, but also on the quality of the individual. Some individuals are better able to acquire resources, such as food, than others. Moreover, the social environment where an individual lives might also increase or decrease the costs of raising offspring. Many bird species form monogamous pairs during the breeding season. 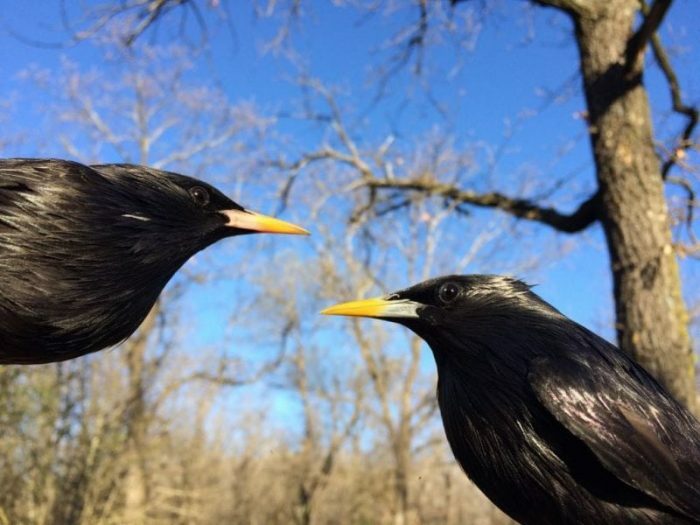 However, in some species, such as the spotless starling, a common passerine bird, males might mate with more than one female at a time, and, therefore, males divide their care between two nests, with a primary female, who receives more help, and a secondary female, that receives the remains. Therefore, we would expect to find differences in costs of reproduction depending on the social mating system in which a female is engaged. Spotless starlings are also very interesting because some females do not defend a nest, and instead lay their eggs in others’ nests, leaving the costs of incubating and raising the extra offspring to the foster parents. We have been following a population of spotless starlings in central Spain, 40 km north of Madrid for the last 14 years. We have 250 nests boxes in a Dehesa forest, where starlings build their nests. 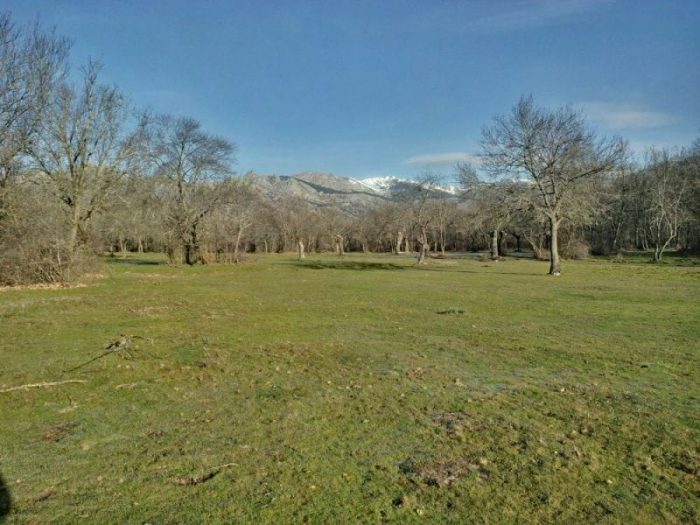 The Dehesa is a cleared mixed forest of oak and ash trees, managed for cattle grazing. Every year in March we trap all the adults in their nest boxes. We weigh them and take some measurements, and we make sure that they are individually marked. We use two different marking systems. On the one hand, each bird has an individually numbered aluminum ring, and on the other, they have a transponder inserted under the skin. Nest boxes have an antenna and a data logger that registers the entry by each individual. Thus, we can know who is the male and the female defending a nest by the number of visits. When starlings start laying eggs, we visit the nests daily and mark each new egg. 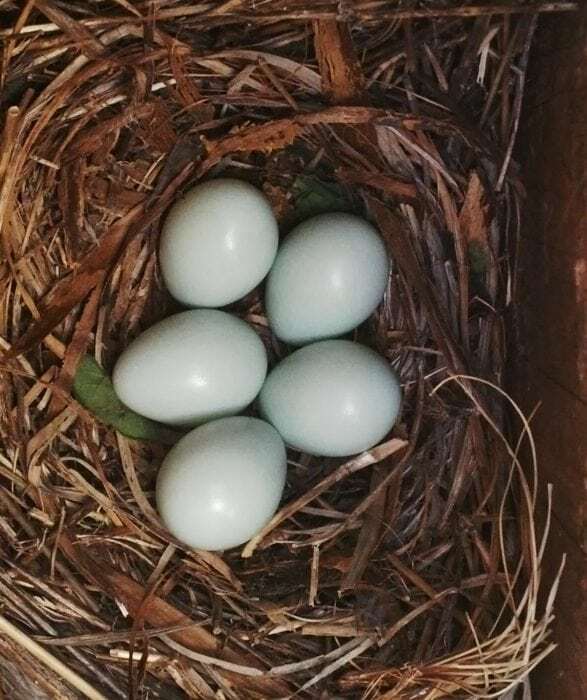 Birds including chickens lay one egg per day, so two new eggs in a nest on any given day means that a parasitic female has laid the second egg. Nestlings hatch eleven days after the last egg is laid. When nestlings are 14 days old, we check how many nestlings have survived to that age, we mark them individually, and we weigh them. We use this information as a measurement of parental investment. 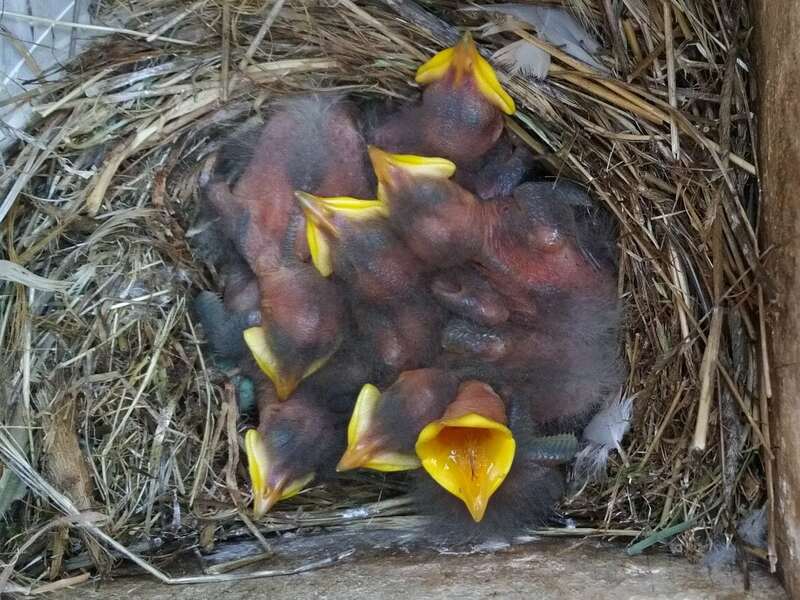 In short, a female with a higher proportion of nestlings that survive to day 14, with a heavier total mass, has invested more in that breeding event, than a female with a lower proportion of nestlings alive, or nestlings with lower body mass. In total, we followed the fate of 2885 eggs. We found that females with a high investment in the first brood where those in a monogamous relationship, or the primary females of a polygamous male. Interestingly, females that invested more in the first brood did also invest more in the second brood. 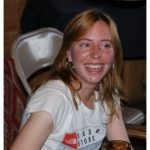 We found similar results for older females. Apparently, females with better access to resources can make up for the investment in reproduction at no cost. However, when an extra cost was added, such as raising parasitic offspring, the costs arose the next year. Females that suffered brood parasitism reduced investment the following year. In conclusion, female spotless starlings could buffer the purported costs of reproduction with experience, a helpful mate, and a clutch size according to their capacities. However, when that clutch size was enlarged, they paid a cost later in life. The study, The role of the mating system and intraspecific brood parasitism in the costs of reproduction in a passerine bird was recently published in the journal Oecologia. This work was led by Raquel Monclús from the Université Paris-Saclay.